Home Apple Mac Leasing Apple Desktop Leasing iMac 27"
Apple iMac 27-inch Leasing & Hire solutions. Tailor your perfect Apple iMac package to fit your Business needs. The iMac 27-inch boasts an amazing 5K resolution Retina Display, offering 4 x the number of pixels of traditional screens. 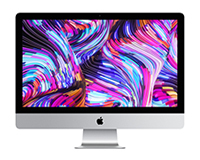 The iMac 27″ with Retina 5K comes, as standard, with a 7th generation Quad-Core i5 – 3.4GHz Processor with options to upgrade to an i5 – 3.8GHZ or i7 – 4.2GHz Processor for maximum performance. 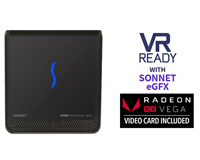 This iMac Retina 5K model also has the latest Radeon graphics cards with 4GB and optional 8GB options, experience crisp, faultless images and video like never before. The updated 2017 iMac with Retina display features a 1TB Fusion as standard and is a slightly cheaper option than previous models. With our Apple iMac leasing, we offer RAM upgrades up to 64GB to better the performance of your machine. 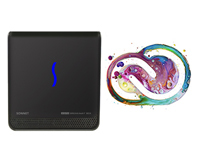 Thunderbolt 3 technology also makes its debut in the iMac range with incredibly fast upload connectivity making the transfer of large data effortless. Lease an iMac 27″ Retina 5K today from HardSoft Computers and receive a full 3-year warranty with a loan Mac and accidental damage cover, ensuring you are fully covered should your machine need repairing. Get in touch with our friendly sales team 0207 111 1643 or on the bottom right live chat pop up, to discuss how we can tailor an Apple lease package to suit you. Choose from one of the following options or we can arrange a bespoke quote. With so many great reasons to lease and such great payment schedules to choose from, HardSoft is a one-stop shop for all of your IT and Finance needs! Apple iMac leasing makes great business sense! It is 100% tax efficient and have lower rates than a bank loan. We will not charge any hefty arrangement fees and there are no sneaky hidden costs. You can budget confidently knowing exactly how much your technology is going to cost. Expensive Software can also be added to your lease, helping you to spread the cost. HardSoft have been trading for over 30 years. With expertise in both IT and Finance our unique leasing solutions are perfect for SMB’s and start up companies. We are proud to say that we offer the same fantastic deals and rates to both new and established companies. Warranty and telephone technical support are FREE for the duration of your Apple lease. Machines within warranty will be collected and repaired for free, including parts. We also have a number of loan machines which you can utilise to keep you running smoothly. The technical team are trained to a very high standard and are on hand to access your device remotely. Unlimited remote support means that you will not have to pay out for costly IT support elsewhere. The team are in multiple locations and on the go so can support the whole of the UK.